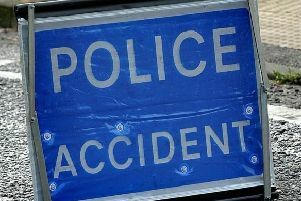 A motorcyclist was taken to hospital after he was injured in a crash near Cowfold this morning (Thursday April 2). Emergency services were called to the A281 Brook Hill at about 7.20am. A spokesperson for South East Coast Ambulance Service said the biker fell from the motorcycle, suffering an arm injury and other potential injuries. Paramedics treated the biker at the scene before taking him to the Princess Royal Hospital in Haywards Heath.